Described as a 'a thing of beauty' UMUADA opened at the King's Head Theatre on 10th July 2018 for a 5-night headline run after a debut scratch at the Bunker Theatre in 2017. An exploration of mental health, migration and motherhood in the urban African diaspora UMUADA was met with 5* reviews and three sold out shows. Justina Kehinde is currently in the process of transforming the script into a full length production. You can keep up to date with the show and any future performances by subscribing here. 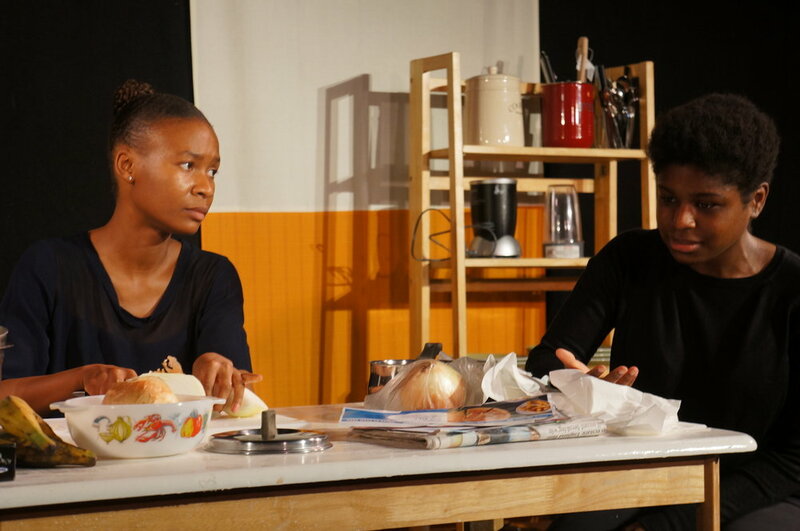 Tomi Ogunjobi as ANWU, Tayo Elesin as TOLU and Jess Layde as NIKE || Writer, Director, Executive Producer Justina Kehinde, Dramaturge - Yosola Olorunshola, Producer Emma Blacklay-Piech, Set Design Emmeline Beroud and Francisco Shankland, Light Design Gaia Fay Lambert, Sound Design Tongri Liu, Publicity Geoffrey Pasong, Marketing Angela Muruli, Photography and Videography Victoria Taiwo.